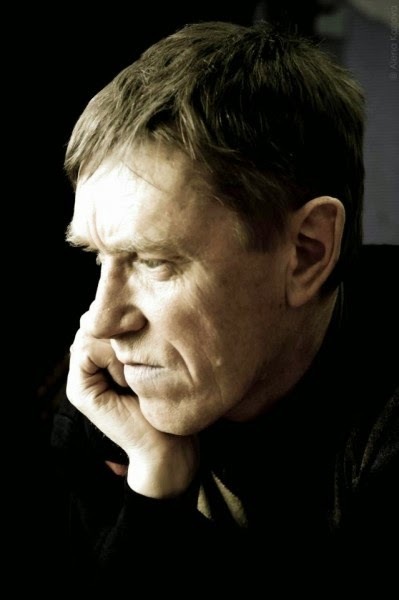 His creative work is significant for its social and psychological topics, it is often linked to the post-Soviet life in Belarusian cities, villages. His novels depict crisis of moral values and a general social crisis, like in the novels "The Village" (Вёска, 1995), "The Time of Troubles, or XII Fantasies on the Same Topic" (Смута, альбоы XII фантазій на адну тэму, 1994). He also writes adventure novels, like "A Chippy Thaler" (Шчарбаты талер, 1999), the story about searching for a treasure Napoleon had left in Belarus, or "The Afghan Box" (Афганская шкатулка, 2002) that is also dedicated to the search of an artifact left in Belarus – an Afghan box. In 2012, a collection of Fedarenka’s works named "A Chain" (Ланцуг) was published. It consists of 6 novellas written in different periods of time, each trying to capture the spiritual world of a contemporary man. Андрей Михайлович Федоренко родился в 1964 году в деревне Берёзовка Мозырского района Гомельской области, Республика Беларусь. Andrej Fedarenka was born in 1964 in Byaroza. He graduated from Mazyr industrial school and completed compulsory military service. Then he worked as a labourer and librerist. In the years of 1985-1990 he studied at the University of Culture in Minsk and till then he work as a editor in a literary magazine. He wrote some short proses, one novel, two books for children and several plays. He achieved a couple of literary awards. His proses were translated into 10 languages. Poviedku Tyvado od tohto skvelého spisovateľa si môžu čitatelia nájsť v knihe Anatólia bieloruských poviedok vydanú v roku 2006 brnenským nakladatelstvom Větrné mlýny. Jak píší vydavatelé v závěrečné ediční poznámce, „běloruská literatura současnosti je trojí“ - oficiální, neoficiální a exilová. Pochopitelně jde o jev běžný ve všech autoritárních režimech, oproti československé literatuře je ale v Bělorusku dnes přece jiná doba a jiná poptávka, ve které jde především o kvalitu literárního díla, ne o kádrový profil autora. Antologie pak předkládá ukázky z tvorby autorů neoficiálních a exilových. Jediným zástupcem oficiální tvorby je Andrej Fedarenka.